Despite the low lights, premium people watching and music thumping methodically from the speakers, R&M Dessert Bar is more dessert than it is bar. When they embarked on opening their own space after a decade spent catering and baking wedding cakes, owners Rod Gambassi and Marc Adams envisioned a place for sweets and light savory bites. But since the Capitol Hill shop (in a newly constructed apartment building) opened in November, the full-service space has dropped the savory stuff and settled into a reputation for after-dinner desserts with a limited assortment of wines for pairing. 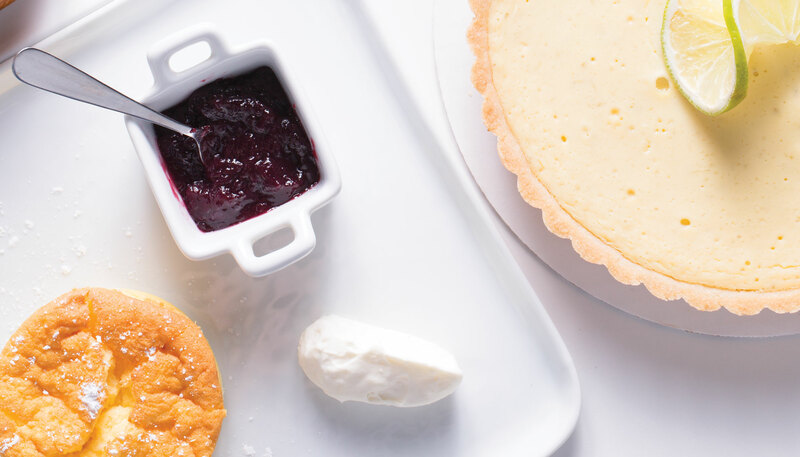 The case is filled daily with a variety of beautiful individual-size desserts: fluffy Japanese cheesecakes, dense molten chocolate cakes, bread pudding, clafoutis and about a half-dozen tarts that, regardless of flavor, are easily the best thing on the menu. There are daily specials, such as berry tiramisu on Sundays and chocolate-hazelnut Ferrero Rocher cake on Wednesdays. And though you can detect the owners’ lack of professional training in some of the finesse, Gambassi and Adams are providing delicious competition for the likes of Hot Cakes, Pie Bar and the neighborhood’s plentiful ice cream shops. Capitol Hill, 601 E Pike St.; 206.351.9993.